It is very common for people to feel fear or anxiety about visiting the dentist. Here is some advice from our Surrey team to help you deal with your dental anxiety. If you get nervous or anxious when it comes time to visit the dentist, you're not alone! Many people experience a degree of anxiety around dental appointments, whether it's the result of a fear of needles, discomfort with the feeling of invasiveness and loss of control, worry about pain, past negative experiences, or even embarrassment over poor oral health. 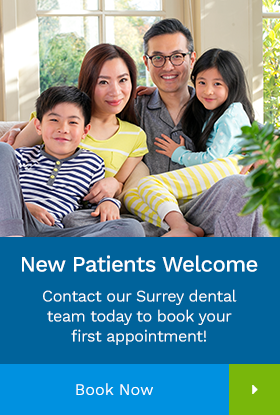 Our Surrey dentists help patients deal with different degrees and types of dental anxiety on a regular basis. Over the years, they’ve discovered what typically helps quell fear and anxiety best. Actively think about and confront the reasons you feel uncomfortable visiting the dentist; really engage with them. Ask Yourself: What's bothering me, specifically? Why does it bother me? Where do these feelings come from? You may find it helps to write everything down. Confronting your feelings in this way can help you look at them more objectively, and make them seem more manageable. in addition, it will help you explain your anxieties to your dentist, too, so she can better address them. Please feel free to talk to us about your anxiety. Don’t worry, we won’t be offended or annoyed! It’s perfectly understandable to feel nervous about any medical procedure, dentistry included. Helping patients deal with these feelings is just part of our jobs. Good communication is the cornerstone of a good patient-dentist relationship. So that we can be as helpful as possible to you, it's best to tell us how you’re feeling as soon as possible, ideally during your initial consultation. This will allow us to better understand your needs and develop a treatment plan around them. Together, we can agree on the cues and signals to use during treatment for when you need a break or become uncomfortable. Relaxation techniques can help you feel less nervous in the days and hours before your dental appointment, and during the procedure too. Try things like yoga and controlled breathing to help relax your muscles and slow your heartbeat. Distracting yourself can help you keep your mind off of the specifics of what’s going on during your dental procedure. For example, you can count to yourself, listen to soothing music, play with a stress ball, or come up with number patterns in your head. Or, think about how to rearrange your living room, what Christmas shopping you still have to do, or what you need to pick up from the grocery store later. 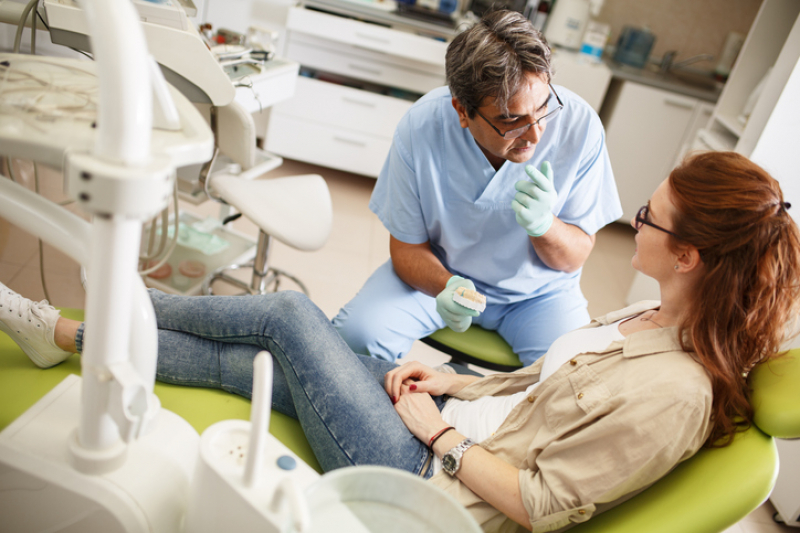 A dentist who takes a special interest in helping patients with dental anxiety can be very helpful to those patients. Our Surrey dentists have spent a lot of time and care considering how best to help patients handle dental anxieties, and they take an active approach to addressing a wide range of fears almost every day. At Elgin Corners Dental, it's our mission to help you feel comfortable and at ease with your dental treatment. After all, patients who feel good about their treatment will be more likely to get it, to the benefit of their oral health!